The vast majority of my day yesterday I spent in a car, that’s 520+ miles and about 9 hours if you’re wondering. Traveling by car is something I grew up with, if it wasn’t family vacations were we’d all pile into my parents’ Astro minivan to visit family then it was the great distances between things in rural Texas. Perhaps despite those experiences, I love driving. One of my favorite vacations was when I drove from my home in Missouri to California and back by myself in the space of a week. The extroverts out there might not understand it, but it is one of the times that I have an opportunity to be alone with my own thoughts, which I find to be a source of great inspiration. 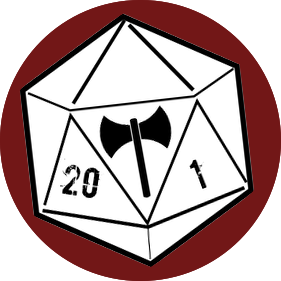 The gamemaster’s, keeper’s, referee’s, dungeon master’s, or whatever it is fashionable to call the person directing a roleplaying game, primary function is to tell a good story. Regardless of whether it comes from a module or the invention of her or his mind, the world needs to be immersive for the players and that’s the gamemaster’s responsibility; each gamemaster imbues a little of themselves into how the story is told. Now I’m the type of DM who runs both homebrew content and modules, but even with the modules I modify it to fit my own personal style, and those ideas need somewhere and sometime to percolate. Enter stage left … a long drive. The world around us is actually quite interesting, informative, and inspiring if we take the opportunity to open our senses. Let me just give two examples. Yesterday I was driving along US-169, which cuts through the eastern part of Kansas. It’s early November and most of the harvesting has been completed; it was also one of the dreary cloud-covered days in which the world has that grey tinge to it. 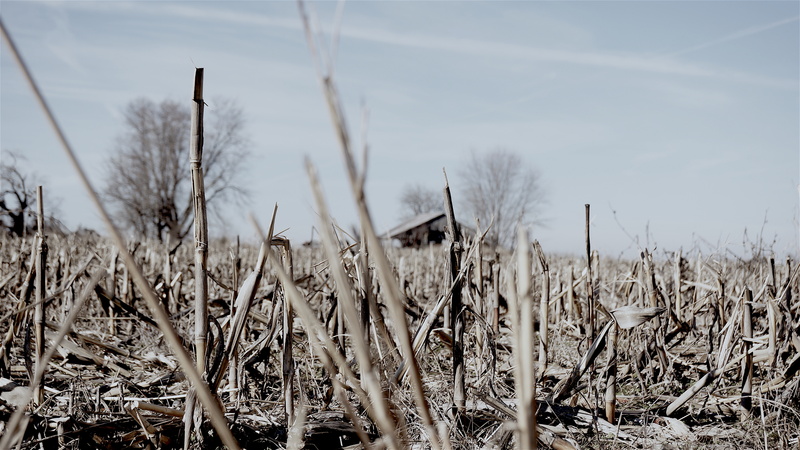 A newly harvested field looks extremely dreary and devoid of life, after all the things that were grown in for the last 6-9 months have been taken away. My mind beings to focus on the barrenness and desolation. As a great lover of dystopian fiction, I want to move to a post-apocalyptic setting – think Krynn in the Test of the Twins – but none of my current games have ready access to such a world. I can file that idea away for a later time, but I don’t want to toke desolation too literally … desert setting. A desert setting can work with either my current Dungeons & Dragons or Star Trek Adventures games. I can now start moving in the direction of asking what types of encounters happen in the desert. I can go with the fantastical ideas of the Arabian Nights or a survival story where the player characters are abandoned in the desert and must find a way to survive. I have a starting point now, and where I go with it, or if it ever gets turned into an adventure, who knows. But it’s 9 hours in the car, so there is time for more ideas. An idea I have the most interest in continuing to explore from this trip is one I heard from an audiobook. I was listening to a variety of different things on the trip: Awaken Online: Retribution by Travis Bagwell, Salt: A World History by Mark Kurlansky, Children of the Fleet by Orson Scott Card, and H.P. Lovecraft: The Complete Omnibus, Vol. 1 (1917-1926) edited by Finn J.D. John. It can sometimes be in the least expected places that a new idea emerges, for instances hearing about the Basque peoples and their whaling and cod fishing expeditions 1,000s of miles from their home in the book on salt might be one of those places. However, in this case, Salt is not my inspiration but Travis Bagwell. I don’t want to give away any major spoilers in case someone wants to read it, but here is a minor spoiler – you are warned. At one point, Riley (the protagonist) and her companions are inside a library and they are attacked by a paper golem, who uses its power to transform paper into spears, and origami tigers. Remember paper can be both a heavy blunt instrument went pressed together, as well as, able to cut human flesh. I probably don’t have a use for a paper golem, but it was a wonderful reminder to keep in mind the environment of the setting you’re creating. As I was already thinking desert, my mind drifted to the idea of a glass golem. There is an endless supply of sand in the desert, and so the monster could easily replenish smashed components or its exploding glass projectiles. Again, the monster might not work out, but the creatures importance is as a reminder of how to use the environment in different ways that the obvious. The old adage, write what you know, is important, and as human we know our settings by observing the world around us and manipulating it with our minds.